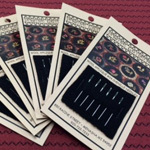 Bytowne Threads is pleased to offer wool fabric by WoolyLady. 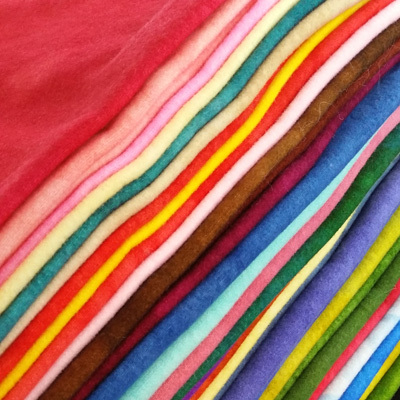 WoolyLady’s hand dyed fabric is of the highest quality, 100% wool, milled in the United States. 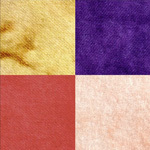 It is dyed one yard at a time and is available in a wide range of colours plus bleached white and solid black. During the dyeing process the wool is felted so when you buy it, it is ready for you to use. In addition to yardage, Bytowne Threads will occasionally offer six-pack bundles of colour. Each WoolyLady six-pack contains six pieces of hand dyed wool measuring 6″ x 16″. When available, the six-pack bundles appear with the wool fabric swatches in the wool fabric link below.